The Eastern European answer to boxed mac and cheese — and so much tastier! Noodles and cottage cheese was the defining dish of my childhood. I think of it as the Eastern European version of boxed macaroni and cheese – a culinary staple of youth. Whenever I bring up noodles and cottage cheese in conversation, it always elicits a strong reaction: Either there is an immediate enthusiastic nostalgia associated with it, or instant confusion and/or disgust. I’ve found little neutrality on the subject. The polarity of responses inspired me to do more digging on the subject of this dish’s origins. At first, I thought noodles and cottage cheese must have started out as deconstructed kugel. Sources cite that noodle kugel originated in Germany about 800 years ago. The point at which cottage cheese entered the picture remains unclear. There is no evidence that kugel birthed noodles and cottage cheese or vice versa. In fact, in our home we had noodles and cottage cheese, but we never had noodle kugel. 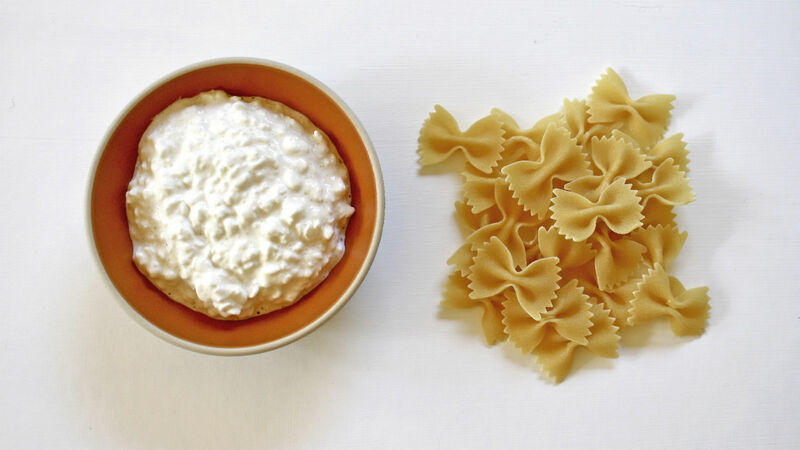 While the origins of the dish are murky, noodles and cottage cheese is still fairly commonly eaten across Eastern Europe in and out of Jewish kitchens from Poland, to Hungary, to Russia. Both my parents grew up in the former Soviet Union, and both remember being fed this dish, albeit with farmers’ cheese (a close cousin of cottage cheese). In the United States it can be found being prepared in many Jewish American kitchens, even in the homes of families that have lived here for a few generations. In Yiddish, the dish is called lokshen mit kaese, and you can track down recipes made with homemade lokshen (noodles). That said, recipes are generally scarce and arguably they’re not needed. The dish’s essential components are obviously noodles and cottage cheese; but preparations vary with the addition of fried onions, or sour cream, or butter, or copious amounts of black pepper. In non-kosher cases you’ll find that bacon is often added. The type of pasta that is used is up to the cook. You can make it with bow-ties, macaroni, penne, fettuccini, or whatever you prefer. It tends to fare best when made with a pasta shape that has nooks and folds that can grip onto the cottage cheese, and with a cottage cheese that is smaller in curd. When I was growing up, my mom would make noodles and cottage cheese several times a week, and often the leftovers went into a Tupperware for my lunch the next day. She had a unique style of making this minimalist dish. 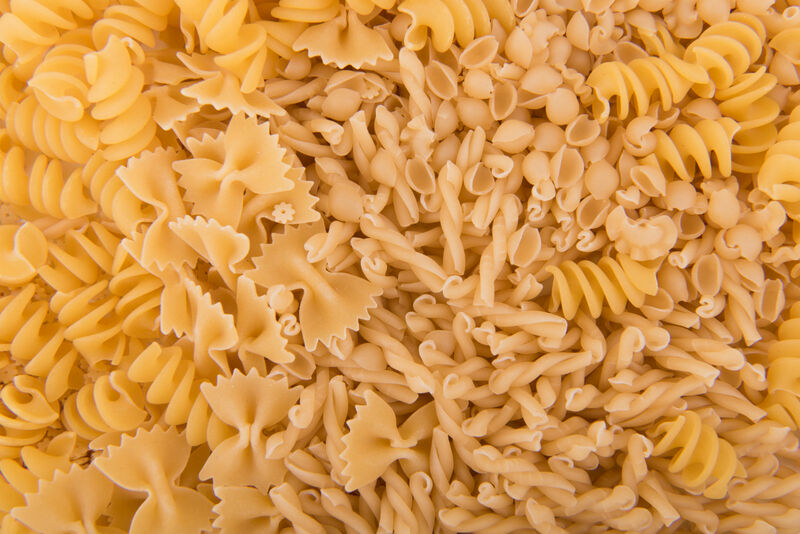 Her preferred noodles were penne or fusilli, and her preferred technique was to drain the pasta, add it back to the hot pot, add cottage cheese, and lastly she’d add tons of grated Parmesan – her not-so-secret ingredient. She would stir everything together until a makeshift cream sauce formed around each noodle. She developed a reputation among my friends for making the best noodles and cottage cheese. It wasn’t just at home that I enjoyed this dish. I vividly remember my first sleepover at a friend’s house. We never actually went to sleep, and her parents came into her room multiple times to scold us for giggling and staying awake. The next day we groggily played until we were fed lunch. We sat down to the table and were served big heaping bowls of noodles (shells) and cottage cheese. After a sleepless night, being served such a familiar dish away from home was instantly comforting. I ended up spilling the entire contents of the bowl all over my lap and onto the floor, much to the chagrin of my friend’s parents. This was not the first time shame was linked to this dish. I grew up going to Jewish day school, but for high school I attended a public school that had only a handful of Jewish students. It was there that I uncomfortably learned that not everyone thought noodles and cottage cheese were so great. I’ve always been curious about food that can bring us shame and comfort in equal measure: I’ve often found that foods that we were mocked for eating when we were young are often the source of great pleasure as adults. Those of us who come from immigrant families might have been made fun for our family’s “strange” or “smelly” foods. By and large, immigrant food tends to be food that has come from necessity. We use what we have and make the most of it; that includes organ meat, all the fish parts, funky flavors, strong spices, fermented vegetables and inexpensive dairy products. And that same food that we might get teased for is often the food that we love the most. OK, so noodles and cottage cheese is not nearly as daring as a fish head stew, or a cow tongue sandwich, but it’s still not a mainstream dish. Why do so many people think it’s so strange? 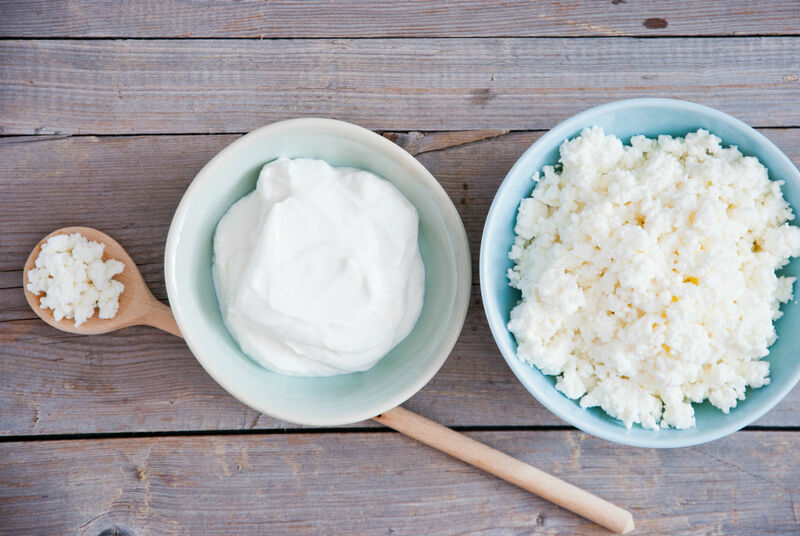 Is it cottage cheese’s inherent bad rap? Is it due to mixing something cold with something hot? Is it the lack of flavor? I needed to make it again, and I needed to make it for someone who had never tried it before. Conveniently, my husband never grew up eating noodles and cottage cheese. I went to the store and picked up a container of small-curd 4 percent cottage cheese and a box of bow-tie pasta. Once the pasta was cooked and drained, I put it back in the hot pot. The second the cottage cheese touched the bow-ties, a familiar smell hit me, taking me back to my parents’ kitchen. I instantly got hungry. Stirring the cottage cheese into the noodles, a sauce started to form. I seasoned it with generous amounts of salt and pepper, and a spoonful of sour cream. I filled two small bowls, and while still standing over the stove my husband and I took our first bites. For him, a fan of both pasta and cottage cheese, it was clearly disappointing. “That’s it? I don’t know about this…” he thoughtfully chewed. But he kept eating. He finished the small bowl, and then he had some more. That’s when I realized part of the appeal of noodles and cottage cheese: It grows on you. On its own, it’s not very exciting, but its cumulative effect is satisfying. For me, I took that first bite and instantly felt warmth. It tasted like home. Bring a large pot of salted water to a boil, and cook the pasta according to the package instructions. Once cooked, drain the pasta well and add it back to the hot pot. Add the cottage cheese to the pasta and stir until all of the noodles are well coated. Add sour cream, if using, and salt and pepper to taste. Stir until well combined. Serve hot, and if desired garnish the dish with fried onions, parmesan cheese, and/or chopped parsley.